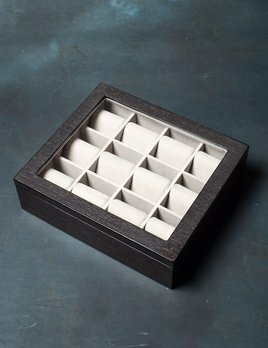 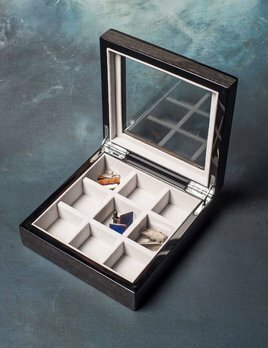 The Glass or Solid Lid is sold separately - this price is for the tray only giving you the option to build your own Jewellery and Accessory Box - each component is stackable. 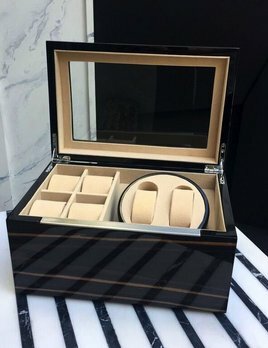 Ebony Veneer Double Watch Winder. 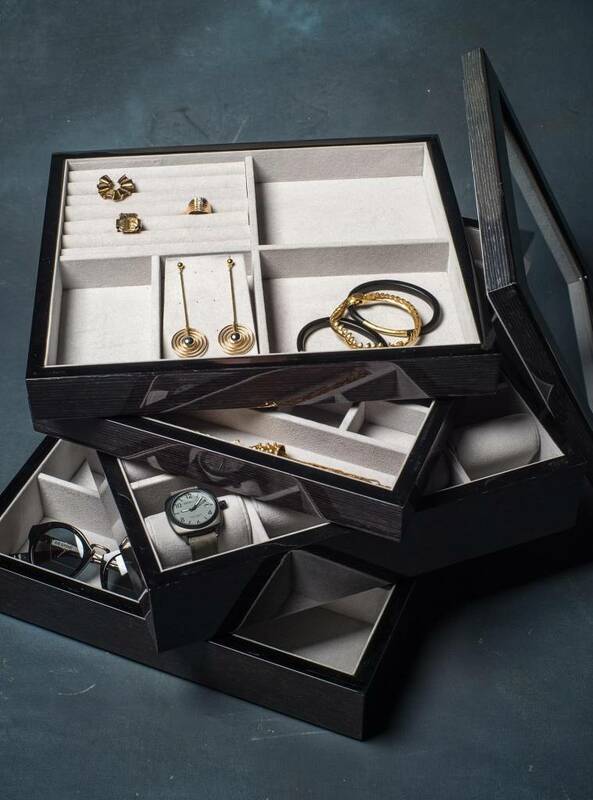 BECKER MINTY's love for vintage mechanical watches has inspired us to create our very own watch winder. 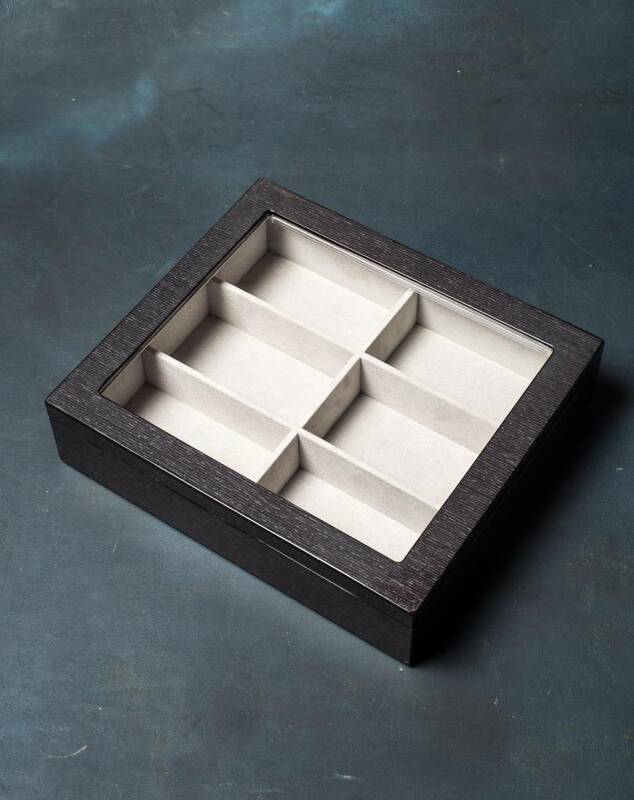 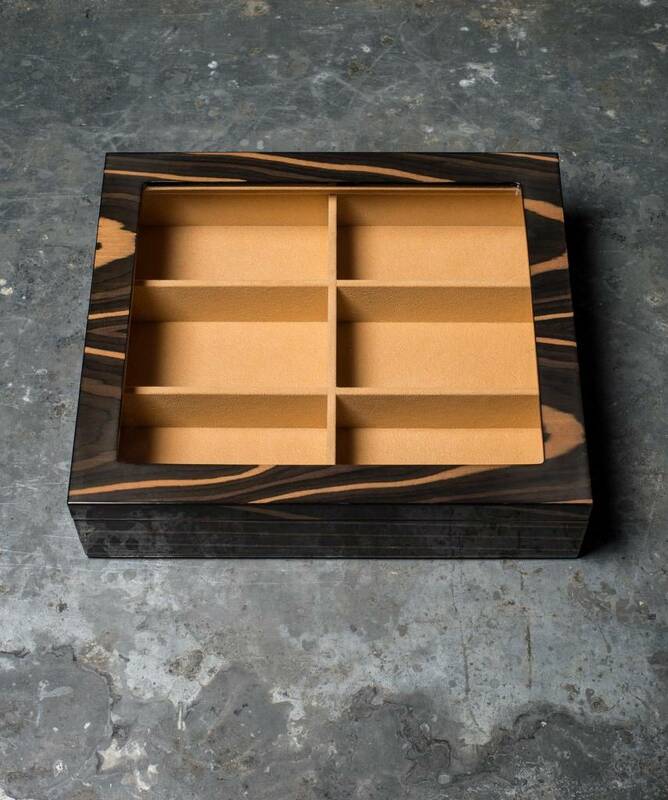 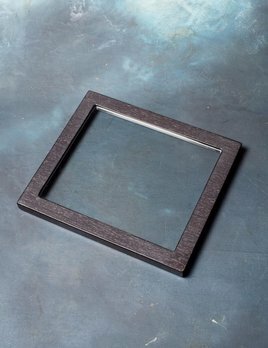 Made from polished ebony wood this is a luxurious way to keep those timeless pieces lasting for centuries to come. 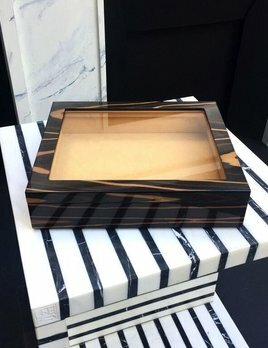 BECKER MINTY - Black Apricot Veneer Cufflink/Ring Box with Glass Lid.